Our Leader-In-Training program is designed for 14-year-old teens. It was created in 2013 to allow us to include campers too old to be in our traditional programs and yet too young to be a Counselor-In-Training—by Department of Health standards. Our Leader-In-Training program will combine camper activities with hands-on, situational coaching led by our Program Director of Special Events. It is our hope that our LIT participants will learn what it takes to become a full-time CIT and future member of our staff. When registering for our LIT program please remember that the first week of camp is mandatory. The remaining 7 weeks can be selected at will. Our Counselor-In-Training program is open to former campers, LITs and enthusiastic 15-year-old students. 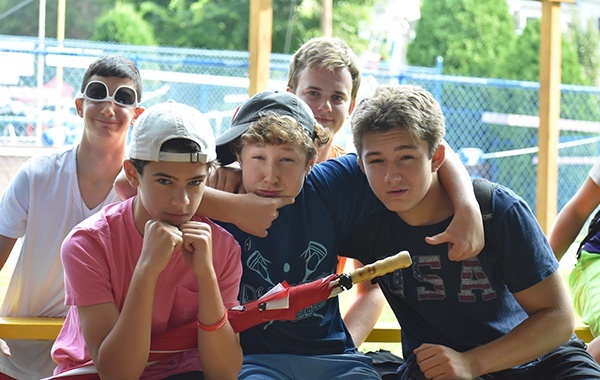 As a role model in camp, CITs will be assigned to a junior camp group and asked to assist head and assistant counselors daily, during all group activities. All CITs will be expected to come to camp to learn, have fun and participate. In addition, all CITs will have one hour of free time every afternoon. CITs are expected to attend all 8 weeks of camp.